So-called ‘emergency tax’ is one of the most irritating, and potentially costly, problems facing employees moving jobs. The situation is a common one: you start a new job and, a month into your employment, you receive your first pay cheque. To your surprise, though, the amount shown is less than you were expecting. Emergency tax codes are the most common reason for errors in pay to those who have recently started a new job. They are handed out when HM Revenue and Customs (HMRC) does not have sufficient information on an individual. Your employer will give you a temporary emergency tax code if HMRC has failed to provide it with an accurate code, and this can often result in you paying too much tax. Emergency tax codes are most commonly assigned when your new employer has not been given your P45. The P45 form, which is outlined in more detail elsewhere in this section, provides your new employer (and HMRC) with information on how much you have earned during the tax year to date, and how much tax you have paid. You may also be assigned an emergency tax code if there has been a change to your tax code during the year. This might occur because you begin to draw the State Pension, or because you start to receive taxable company benefits. Emergency tax codes also often arise when people who were previously self-employed enter employment. What is a Cumulative Emergency Tax Code? If you have just started your first job since the beginning of the tax year, and you have not received any state benefits or a taxable pension, you may be assigned a cumulative emergency tax code. The purpose of a cumulative emergency tax code is to ensure that you receive your full Personal Allowance. It will mean that your employer carries over your unused allowance from before you started your new job. In these instances you should not end up paying too much tax. 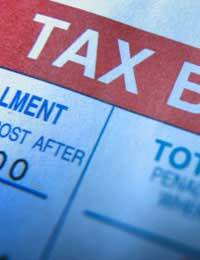 How Do I Get the Right Tax Code? A correct tax code can only be assigned when HMRC has the information that it needs. This generally means that you will have to get a P45 from your previous employer. One part of the P45 is sent to HMRC, while another is sent to your new employer. The remainder is retained for your records. Once your tax code has been corrected, your employer will return any overpaid tax to you through the PAYE system. This means that you will pay less tax in future months in order to make up the difference. In some cases, though, you may be owed a refund at the end of the tax year. In this case you should contact your Tax Office; their details can be found at the top of correspondence from HMRC. You will need to complete and return a copy of Form P60 in order to claim a refund. An emergency tax code can mean that you pay significantly more tax than you owe. As a result, you should ensure that you deal with any errors as soon as possible.